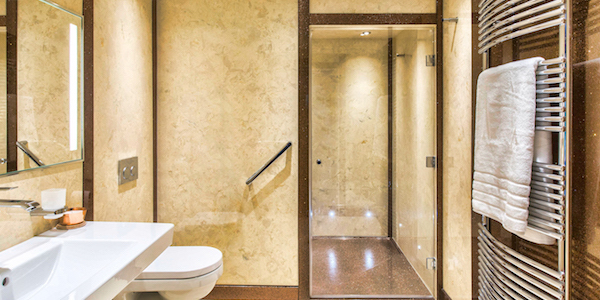 In the continued search for bathroom excellence Debra and Peter Langley decided to visit Italy. 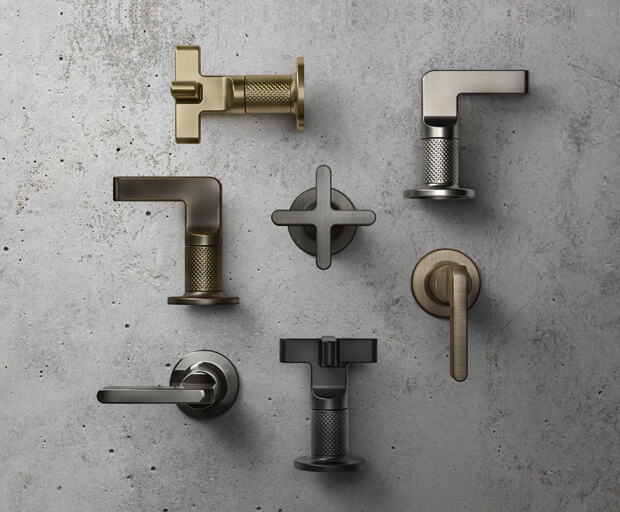 Besides a stomach full of pasta, they brought back the up and coming luxury brassware brand: Gessi. The brand has a deep Italian heritage – created by Umberto Gessi who wanted to challenge the industry status quo. 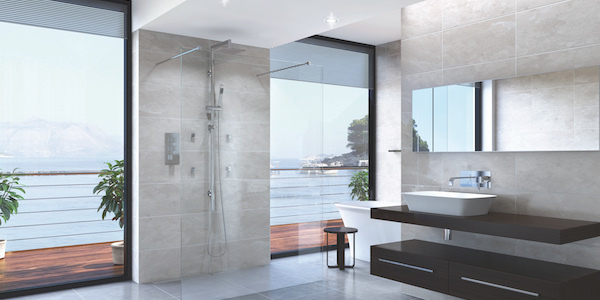 Their designs are a mix of classic and modern design, and their beauty can compliment any stylish bathroom. Our team were warmly welcomed to Milan by the exquisite Gessi Milano showroom. The blend of the cutting-edge designs and classic Italian style shouts splendour from the minute you set your eyes on the building. Situated in the luxury fashion quarter of Milan, its location could not be better suited. The overwhelming sense of luxury captures all of your senses the moment you walk through the building gate. A blend of toned blue light and the sound of echoing water welcomes you into a showroom like no other. 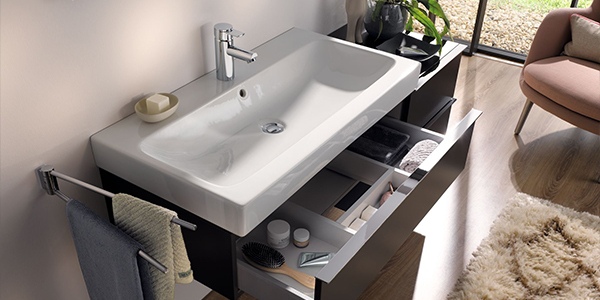 After stepping through the corridor all your senses become submerged in the magnificent world of Gessi. 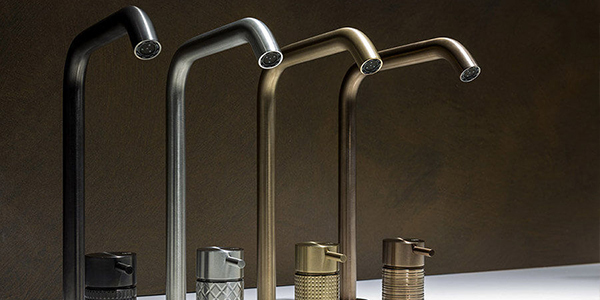 Gessi have created an environment directly from an interior designer’s dream. The shapes and form are in perfect sync with the light used around them. 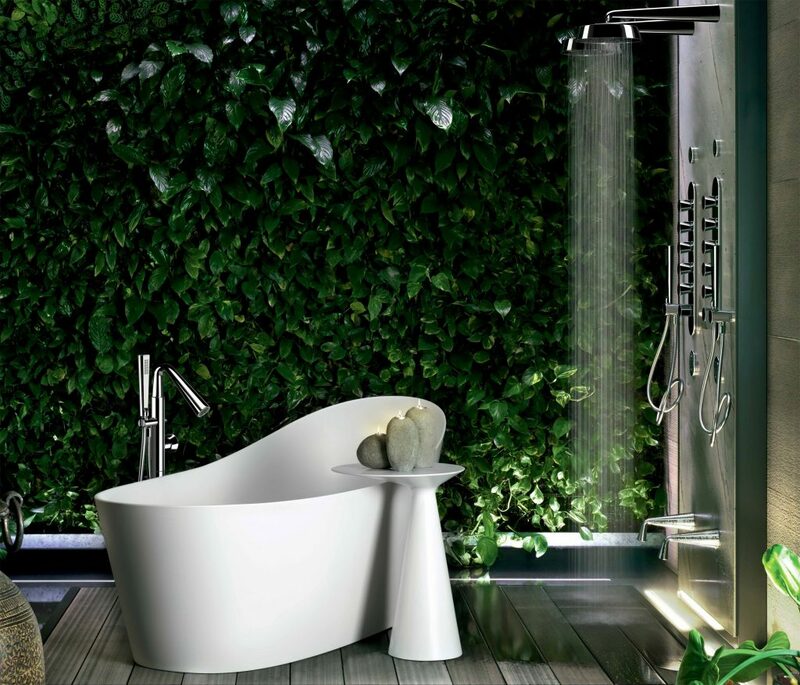 Glass and metal in beautiful contrast with the numerous plants and nature inspired design elements, creating a sense of relaxation and wellness. 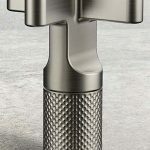 Gessi solutions are implemented beautifully throughout. 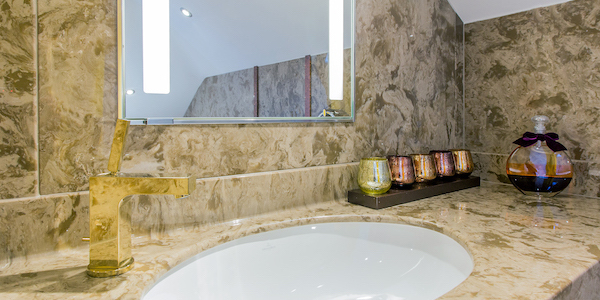 Each design seamlessly built into the fabric of the building create an outstanding result, resembling a luxury spa. 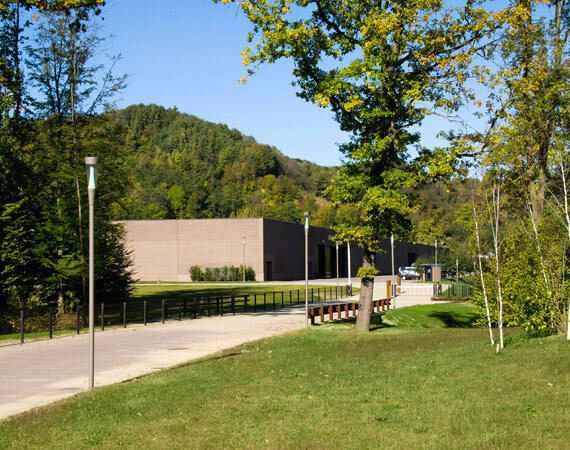 After visiting the flagship showroom, Peter and Debra were invited to Gessi’s production facility. 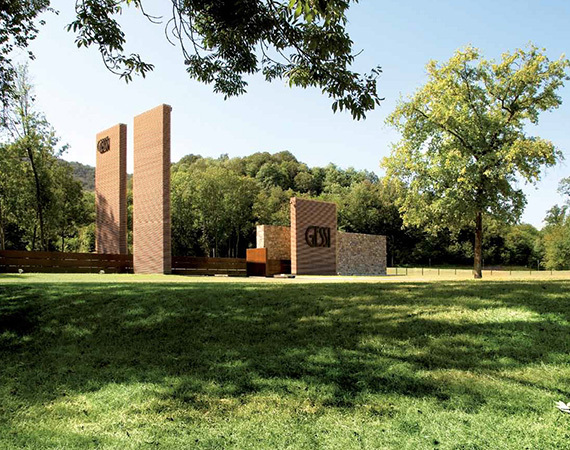 Located in a sleepy, secluded village between rolling green hills and the Sesia river, the Gessi factory exudes the feeling you would expect from a park or a museum, not a production facility. The state of art stylish building stands as a gem of modern architecture, creating a beautiful contemporary contrast to the natural brilliance of the location. The sense of amazement on this trip continue as our team stepped inside the factory. The place is incredibly well maintained with polished floors and many pieces of art. The facility is a combination of skilled workers and automation, soundlessly moving through the factory. The place really adds to the sense of excellence surrounding the brand. The expert tour guide generously shared all their knowledge with a real sense of pride, expressing how proud they were of their brand. The production method was as impressive as the final result. Debra and Peter observed step by step how workers used solid pieces of brass to create stunning creations with real attention to detail. 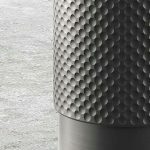 The manufacturing process was lengthy, however the quality testing that every single piece underwent was incredible. 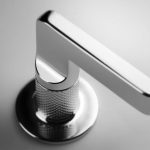 After manufacture was completed every tap, showerhead and mixer was mounted and its full functionality put to the test. The assistant showed an example of a toilet seat that has been lifted and lowered by a robotic arm fifty thousand times with the test still going. Even the packaging showcased what a premium product this was. After the testing was complete and each product approved, every piece was handled by gloved hands and packaged like a lovely present. 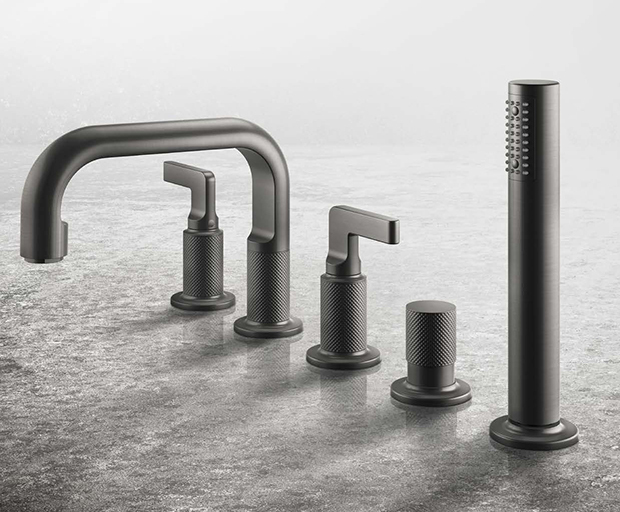 Gessi wants their customers to feel special at every step of the journey, making attention to detail a crucial value for the whole brand. 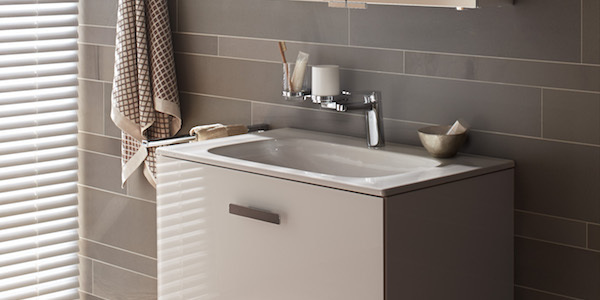 The whole team at Langley Interiors have fallen in love with the beautiful modern designs and family values of Gessi. 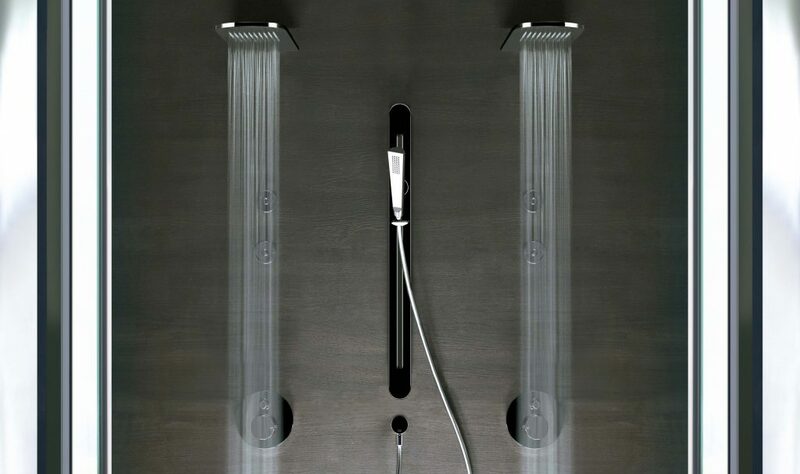 We are delighted to have been able to bring a piece of Italy back to Bolton, with the brand new Gessi displays. Taking inspiration from their flagship showroom, with a spa like feel and a touch of greenery. We would be delighted to welcome you to our showroom and show you more. 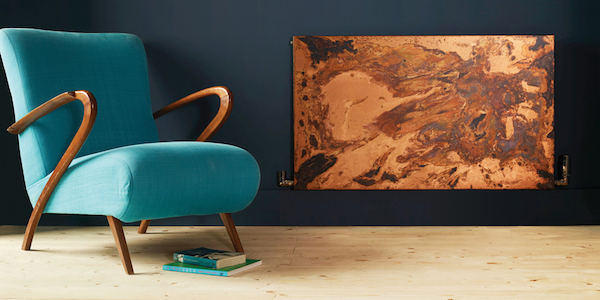 Inspiring you to take a piece of Italian styling back to your home.